Founded in 1949, Hornady’s commitment to performance and innovation has allowed the company to expand from a simple two-man operation into one of the world’s leading manufacturers of high-performance ammunition. “Accurate, Deadly, and Dependable” are three words you can confidently use to describe Hornady ammunition. 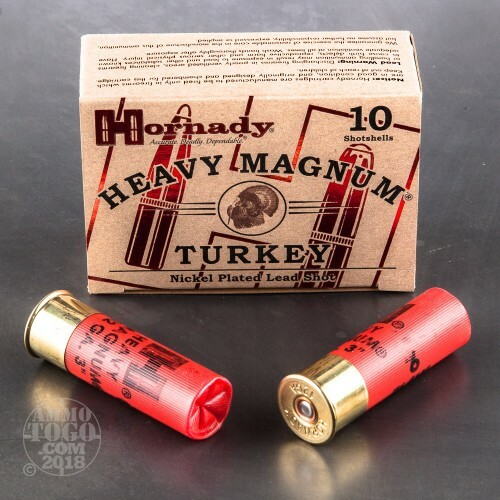 This package contains 10 rounds of Hornady Heavy Magnum 12 gauge ammunition. 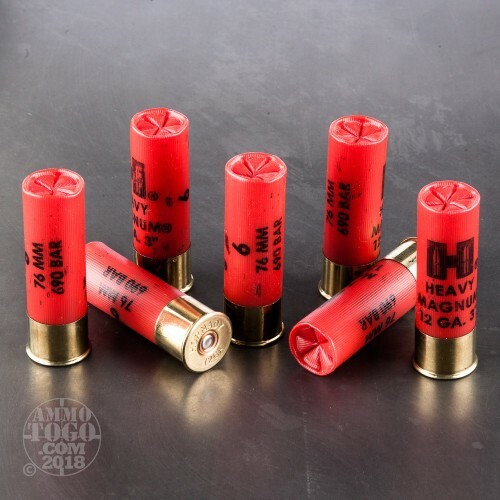 Each 3-inch shotgun shell is loaded with 1 ½ ounces of premium #6 nickel-plated lead shot. 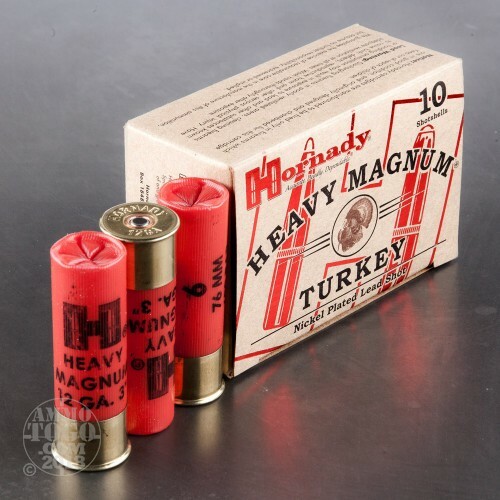 Hornady engineers these high=performance turkey loads with the thickest nickel-plating in the industry. Resisting shot deformation and keeping more pellets on target, this tough shot design produces dense downrange shot patterns and effective gobbler-dropping results. 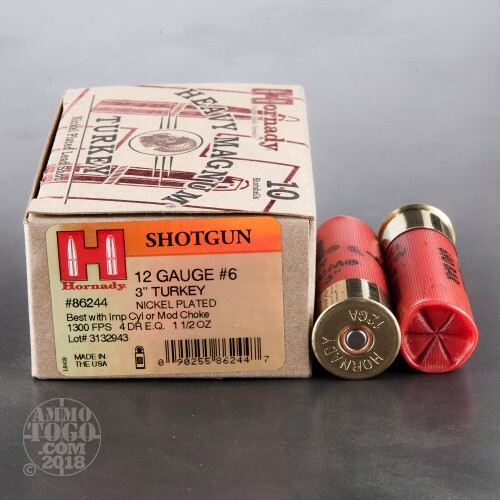 These specialized turkey loads also feature Hornady’s unique, performance-driven Versatite wad. This proprietary wad does the patterning for you, although it performs best with an Improved Cylinder or Modified choke. Producing an impressive muzzle velocity of 1300 feet per second, these rounds are lethal on turkeys out to 50 yards.